I wish these girls could bottle up this fun and keep it with them through the hard times that are ahead. I wish they could keep full hearts of love for themselves and each other and not give into the "mean girl" syndrome. I'm praying that for them. I prayed that over them while I edited their cute adorable selves. Thank you, Ashley Parr for contacting me to photograph the teams. I loved it! And major props to you and the coaches for having them ready and waiting when I accidentally went to the WRONG school. HELLO! I dodged all those potholes on Indiana driving the speed limit. Just thankful you didn't fire me on the spot when I showed up. Much love to the PIRATE NATION today! Be kind to all and remember, to laugh with your fellow Pirates MUCH. 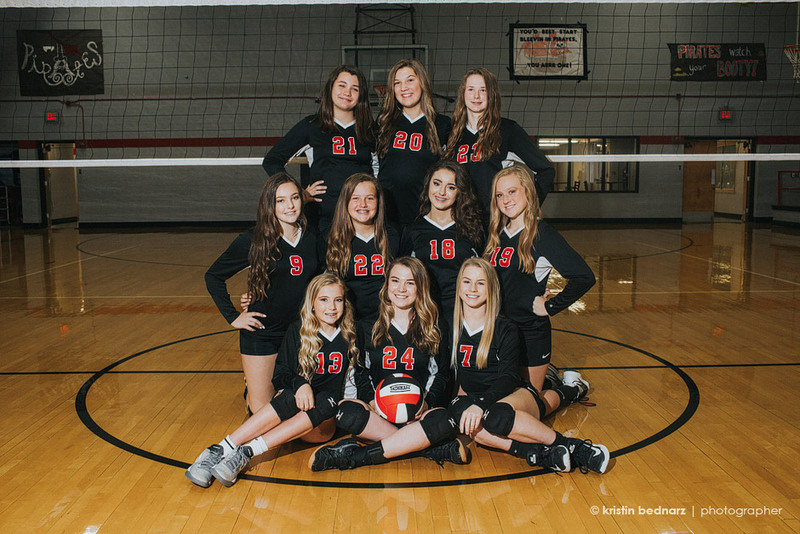 To view more from the LCMS VB TEAMS, CLICK HERE.